A New Roof Can Protect Your Home More Efficiently Than A Repaired Roof. Speak with one of our knowledgeable roofers at (833) 200-0571 the next time you require expert residential roofing in Texas, Louisiana, and Mississippi! We have been servicing this city and the surrounding areas for years as a local residential roofing company, and we are committed to offering superior roofing services. If you require a better roof, or if your current roof is in need of restoration or repair, you can rely on our dedicated contractors to help you locate the best solution that fits your budget and meets your needs! As a homeowner, you know that taking care of your roof system is a major part of taking care of your home, which is why it is vital that you have a contractor you can count on to keep your roof in great condition. At ECO Commercial Roofing, we can assist you with any residential roof services you might require, such as roof replacements or roofing repairs. 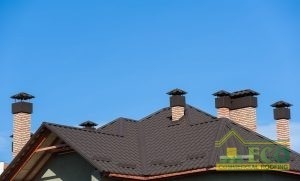 In order to offer results that include us as a leading residential roofer in Texas, Louisiana, and Mississippi, we buy only top-rated materials, and stand by the quality of our finished products. ECO Roofing understands that your roof is more than just a roof. It is the protection your entire home counts on. It covers the people you love and the things you hold most dear. When searching for a residential roofing contractor, don’t trust just anyone. Trust a company that will treat your property as if it’s their own. Trust a company that is knowledgeable and experienced. Call us today at (833) 200-0571 to meet our team personally and benefit from a professional, on-site roof assessment. Throughout the last 20 years in the construction business, our team has worked with homeowners to ensure their home is water tight. Backed by our impeccable service record, we guarantee our services will be provided in a safe and controlled environment. We provide the highest level of customer service and strive to building lasting relationships our customers can count on. A few of the prime services we provide are listed below. Emergency Roof Repairs Emergency roof repairs have never been simpler than they are with the ECO roofing team. Shingle Roof Replacement Are your shingles in need of total replacement services? You’ve come to the right place! Residential Roof Repair Damages in your home’s roof can lead to additional damages to your home, so be sure to have them repaired ASAP. Roof Flashing Your roof’s flashing is designed to protect the edges of your roof, as well as support your home’s gutters. Shingle Roofing Shingle roofs are traditional, affordable, and very reliable, which is why it is the most common residential roof. Tile Roofing Tile roofs are designed to last for decades longer than traditional roofs, and can increase the value of your home. Roof Inspections Having your roof inspected and maintained each year will significantly increase the longevity of your roof. Architectural Shingles Architectural shingles are more durable than traditional shingles, and can last much longer. Slate Slate is a natural and durable roof option. Though t is considered the most expensive, it also adds significant value to your home. Storm Damage Storms can damage your roof, but our team of professionals can assist you with all of your needs. Don’t let that small leak turn into a disaster down the road. When left unattended, that tiny leak can wreak havoc on your home, causing catastrophic damage. We have the experience necessary to spot the tiniest of leaks and repair them on all roofing types. When the time has come for your roof to be replaced, you can trust the experts at ECO Roofing. Our highly-trained staff will make the process as smooth as possible, minimizing the stress it puts on you. We provide quick an efficient service and strive for minimal disruptions to your home. We know that Mother Nature can be brutal on us Texans, but don’t worry! The disaster response team at ECO Roofing is here for you 24/7. When severe weather blows through town, call ECO to get water tight in no time. When you have your roof on a regular inspection program, it will minimize repair costs and lengthen your roofs life expectancy. Your roof is a costly investment, don’t let it go to waste. Our inspection programs are here to ensure your roof lasts to its expected lifespan. Your roof is our priority. Don’t delay, call us today. You can reach us at (833) 200-0571. Our licensed and insured team is here to provide any work necessary to ensure the success of your roof. Call a licensed and insured contractor you can trust. Insurance companies do not make money on claims. 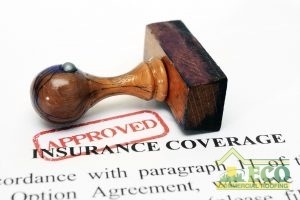 When you have an experienced contractor on your side, working with the insurance companies becomes much easier. ECO Roofing will inspect your roof to determine if damage has been sustained. Our Roof Insurance Assistance Is Helpful And Direct! If damage has been found on your property, we will work with you to file a claim. When you call your insurance company they will provide you with a claim number and schedule a time to have an adjuster visit your property to perform an inspection. Your insurance adjuster will visit your home and provide their own inspection. At this time, it is advantageous to have your ECO Roofing representative present so both parties can work together to make sure all damages are accounted for. Once you receive your insurance estimate, you can begin the project planning stage. ECO Roofing will help you understand your project scope and answer any questions you have on the claims process. After this is done, you get to select your colors and sit back and relax – we’ll take care of everything from here! This is the construction phase. ECO Roofing will provide all of the necessary permits, labor and materials. We will make sure all your landscaping is protected and clean up all debris at the end of each day. Once all repairs have been completed, we will send a final invoice to your insurance company. Your insurance company will then release the remaining funds. ECO Roofing will work with you each step of the way to make sure your home is protected. Let us be the company you count on for all your roofing needs. Call us today at (833) 200-0571 for a free, no-obligation roof inspection. For optimal quality assurance, we teach each and every one of our crew members in evolving industry standards and techniques, and we make sure that all of our roofers are licensed and insured. Cost-effective prices are important to our company, and we make sure never to sacrifice quality for the cost. Learn more about the roof services you are looking for from the list below! Contact us now at (833) 200-0571 to schedule your appointment with the residential roofing company that offers quality results that are built to last!